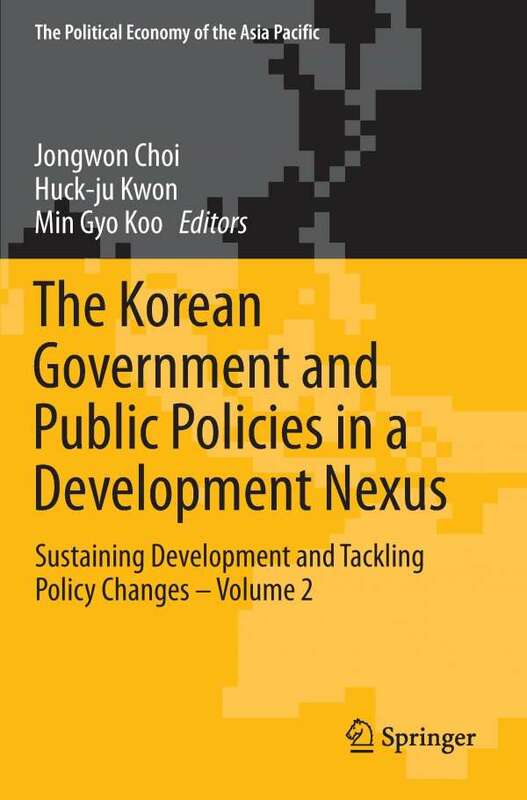 Der Artikel The Korean Government and Public Policies in a Development Nexus wurde in den Warenkorb gelegt. Ihr Warenkorb enthält nun 1 Artikel im Wert von EUR 125,94. This volume chronicles the policy challenges and adaptations faced and made by the South Korean government during the post-industrialization and democratization period. 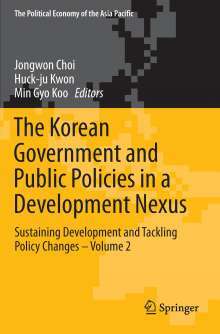 Following the model set by the first volume in the series, which covered the economic and social development during the developmental period from the 1960s to the 1980s, this volume examines how and to what extent the South Korean government has adapted to a variety of political, economic and social transformations since the 1990s. The book is divided in two parts. Part I reviews the changing policy environments and government policy paradigms in the wake of industrialization and democratization, focusing on the reorganization and coordination of government ministries and agencies. Part II explores key public policy areas, such as economics, social welfare, and foreign relations, where the South Korean government has successfully adapted to new policy challenges and environments. Drawing policy implications for the future actions of the South Korean government as well as for those countries wishing to replicate South Korea's success and avoid its errors, this book of interest to both scholars and policy-makers concerned with development in the Asia-Pacific. Jongwon Choi, geb. am 23.7.1970 in Gangneung in Südkorea, 1990-99 Studium an der Theologischen Universität Seoul., (M.A. ), 1997-2001 Vikariat in der koreanischen Gemeinde Geom-Dan, 2002-05 Jugendseelsorger und seit 2005 Pfarrer., in der koreanischen Gemeinde Bonn.